As a kid, film student Gabby Vernon struggled with food insecurity. Now she's using her craft to feed others. Gabby Vernon and her sister, Brittany, right, were raised by their mother in Troy, Mich.
It’s late September and Gabby Vernon is standing in a field in Allendale, launching a drone. The drone lifts off and hovers more than a hundred feet above Ham Family Farm where a dozen volunteers are picking kale and loading it onto a van bound for Feeding America West Michigan. 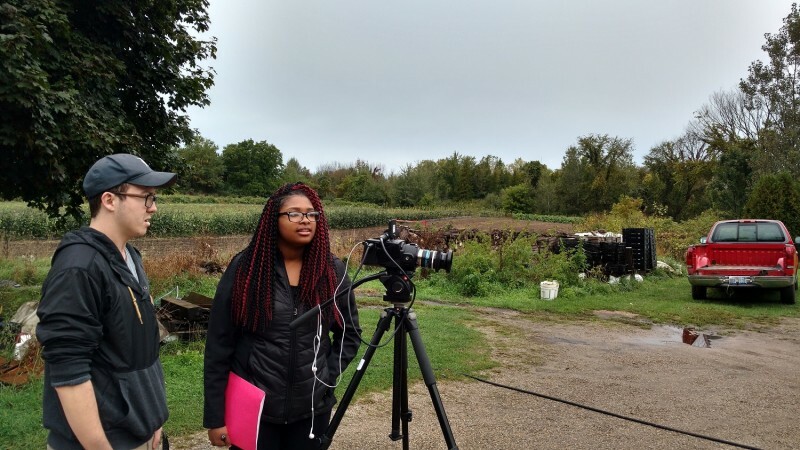 A senior Film and Video Production major at Grand Valley State University, Vernon led a team of students this fall tasked with creating a video about Feeding America West Michigan’s Mobile Food Pantry program. The team's video, completed this week, will be used to recruit new Mobile Pantry funders and host sites to bring food to more people in need. Twelve years ago, Vernon was in a very different place. She was one of those people who needed food. 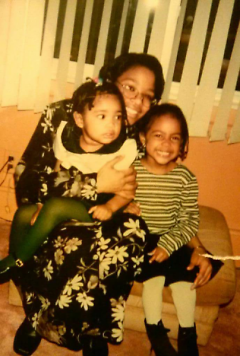 Vernon and her older sister, Brittany, were being raised by their mom in Troy. Her mom was pregnant with her brother, Nico, and her dad wasn’t around that often. It was Christmastime and they didn’t have money for food, let alone Christmas gifts. Her mom reached out to their school, and the school connected her with a food pantry and another service that delivered Christmas gifts to their house. Vernon never forgot that experience. Vernon and fellow students Casey Perialas, Shawn Wasser and Sarah Ford filmed a Mobile Pantry at Godfrey Lee High School in Wyoming. They captured footage of volunteers setting up tables, unloading pineapples, onions and cases of yogurt and handing out cookies to kids. Vernon and Perialas conducted the interviews. “I can’t normally afford to go out and buy a bag of apples,” said Angela McDay, one of the women lined up to receive food. The Mobile Pantry allows her to provide fruits and vegetables to her kids. Krick introduced her to clients and volunteers, and Vernon took it from there. With this project behind her, Vernon is one step closer to collecting her diploma in April. After that, she plans to move back to the Detroit area and apply for a marketing internship at Quicken Loans, where four family members, including her mom, now work. But she tries not to think too far ahead. 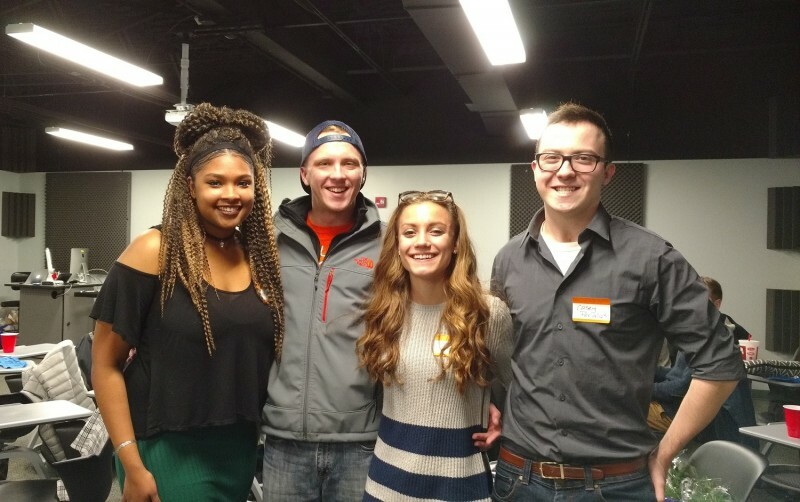 With 15 credit hours, a job at the Grand Valley bookstore and a leadership role in [email protected], a Christian student organization, Vernon’s got plenty to keep her busy — and plenty of ways to keep helping others — right now.